Derived from the outside unit of a climate control system or air conditioner. Great graphical image. If you stare at it long enough, it moves like an optical illusion. V.
an excellent abstract from this!! 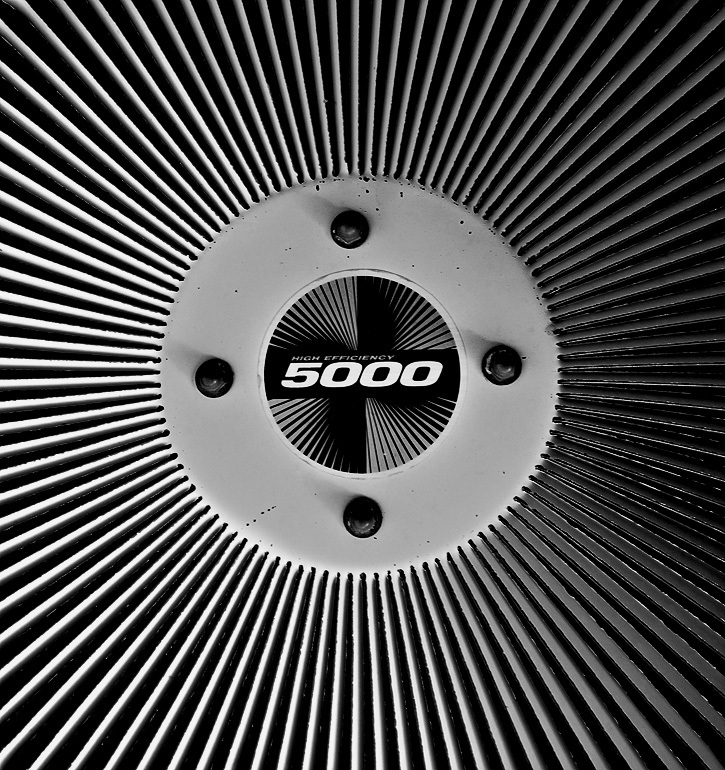 But 5000 - Watt? :o) Makes a grand abstract!